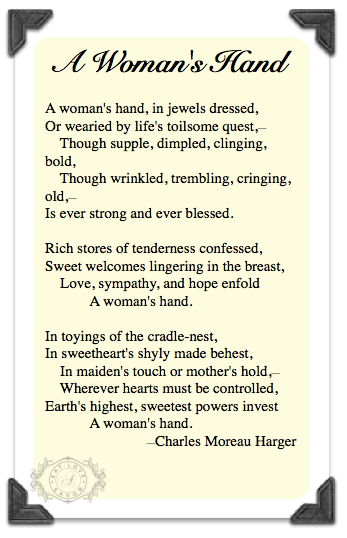 Our hands – a vital part of who we are and how we see ourselves. They do so much for us, capable of many functions from touching, grasping, feeling, holding, manipulating, caressing… They are a big part of eating, loving and savoring and deserve great care! 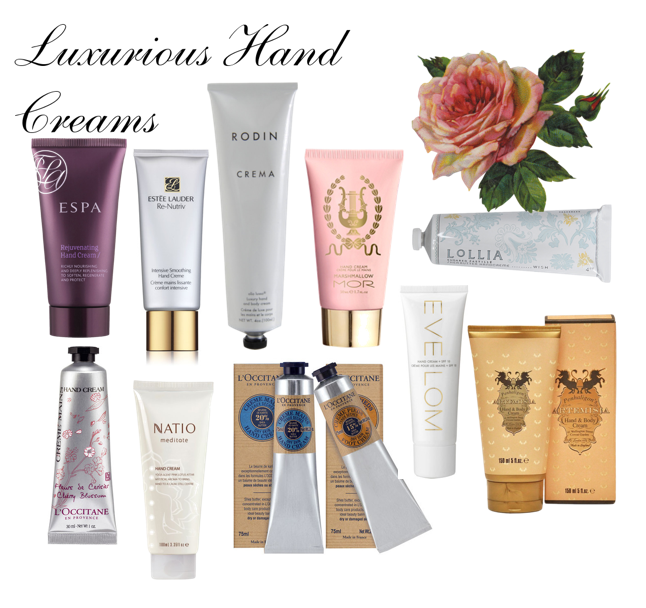 It is a small luxury, but a lovely one – rich, perfectly scented hand cream. Moisturizing the skin has been something we’ve done dating back to the Mesolithic era 10,000 years ago when people used animal fat to keep their skin supple. From animal fats, to olive oils, palm oil, avocado, mineral material, tree oils, honey, milk, aloe, rose oil and many other substances, many we still use today. What woman doesn’t have some in her handbag, in the car, by the bed and at her desk. Nothing feels more luxurious to the woman or to the person touching her hand than to reach out and feel soft, supple skin. Simple or gorgeous containers, one for every mood and style. Whether unscented, with fragrance, rich butters, silky lotions… so many to choose from! Whatever your preference, apply often and soothe your hands and delight the senses. EAT LOVE SAVOR® International Luxury Lifestyle Magazine is a foremost advocate of intelligent, informative editorials, interviews, features with a feminine touch, guiding readers through a world of luxury goods, services, and experience; a must-read for the beauty seeking high net-worth individual an affluent lifestyle foundation for all the tiers of wealth who appreciate the softer side of luxury. We produce an Exclusive coffee table magazine + digital + online magazine. Our prestigious high end luxury lifestyle magazines are all ad-free, with timeless content written by luxury experts. - EAT LOVE SAVOR® is considered a 'rare beauty' and a best kept secret. Exclusively sold by EAT LOVE SAVOR. Printed on demand.